Futaba consistently delivers the very best radios and the 10J is no exception. 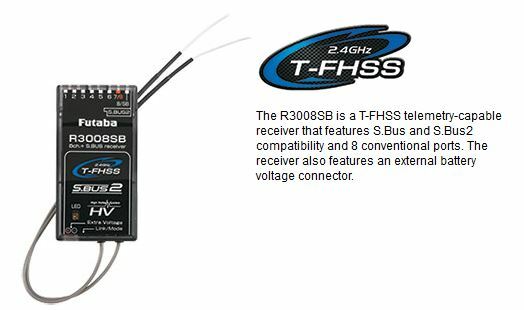 Its full list of features is below, but here are a few of the best: 10 channels, telemetry capable, fully programmable and user updateable. The functions can be assigned to a multitude sticks, switches, knobs and levers. The telemetry data can be viewed on the backlit LCD screen and audibly reported through headphones. Three buttons and a jog dial make it exceptionally easy to program. Plus, it’s light weight, easy to handle and equipped with an astonishing 30 model memory. Updating is simple, so your transmitter will never be out of date. All those features and more are included in a radio that’s also the first to have multi-rotor helicopter programming. It’s perfect for a whole host of applications: Airplane, helicopter, glider and multi-rotor menus are all included. 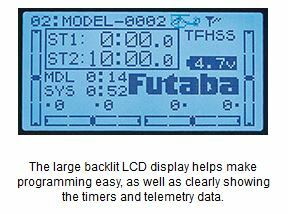 Even with all its features, the Futaba 10J is still the most inexpensive telemetry enabled radio system on the planet. It’s priced right for a first time radio, but packed with so many features pros will love it as well. When you’re ready for a radio that can fly anything, comes packed with features and includes a powerful telemetry-enabled receiver, pick up the Futaba 10J. You’ll be glad you did.